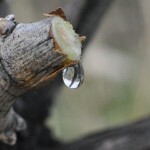 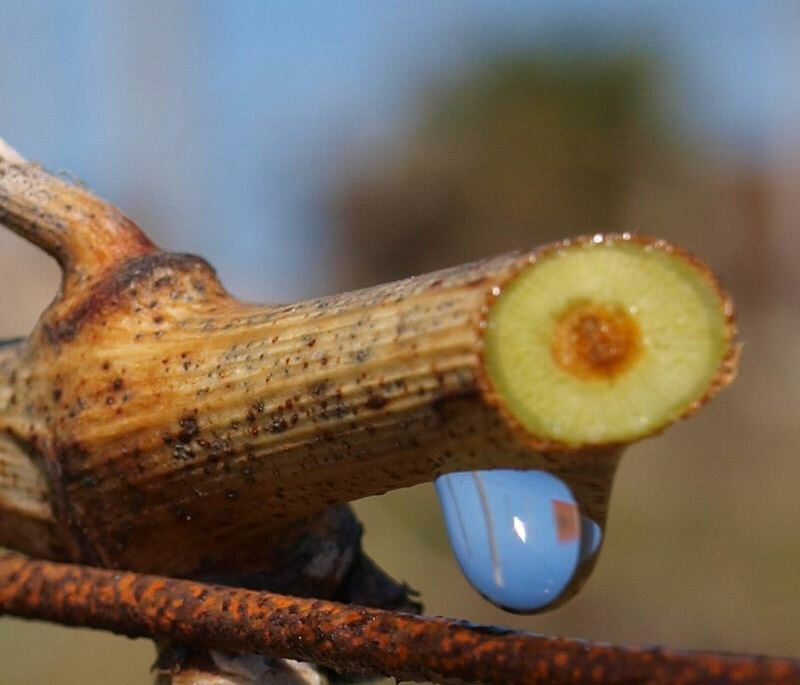 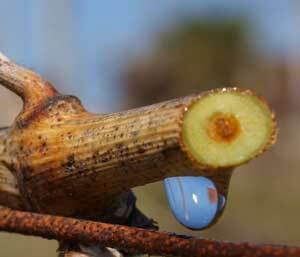 The annual growing season of the vine begins before the spring when the plant awakens after a long winter sleep (dormancy) with the apparition of drops of sap (bleeding) at the end of the cut vine-shoot. 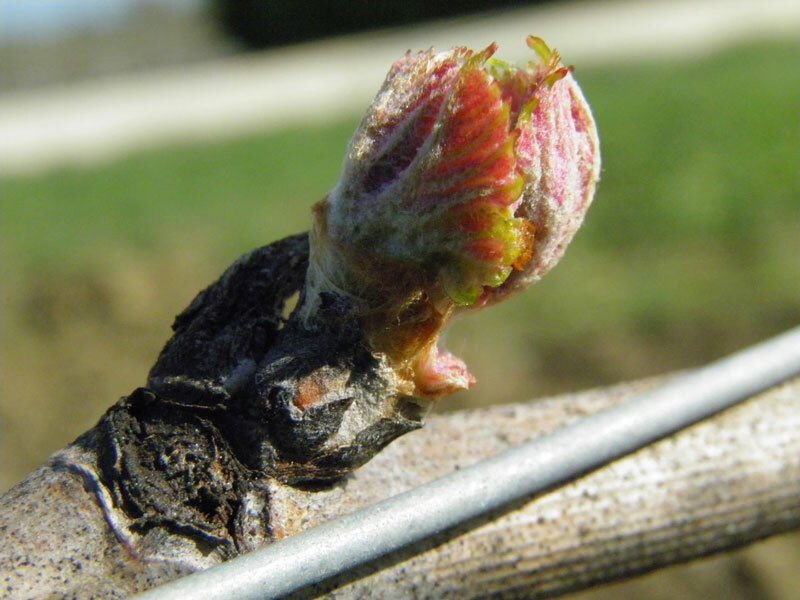 As soon as the temperature increases, at around March or April, the latent buds develop, burst and expose their down (fuzz) protecting them from frost (this is the bud-burst). 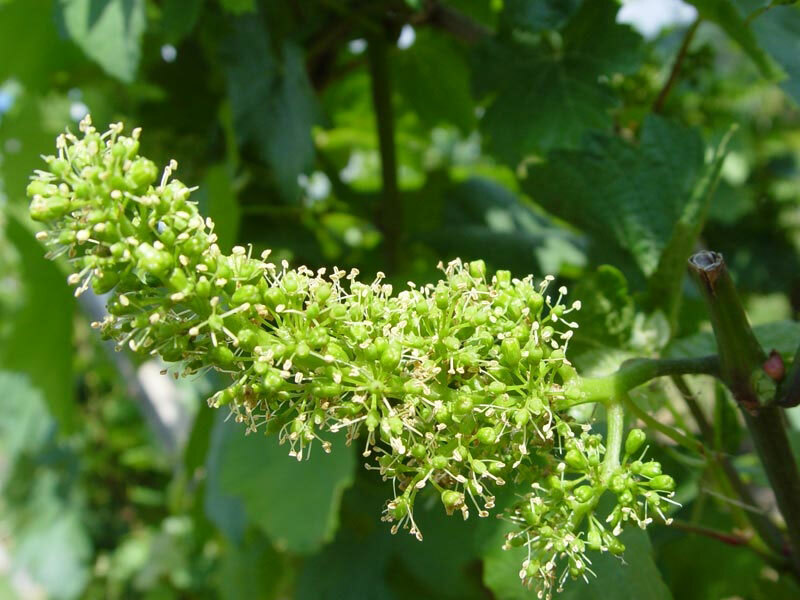 The flowers appear at the beginning of June,when the temperature is around 20°C, they bloom (This is the flowering) and produce a delicate scent. 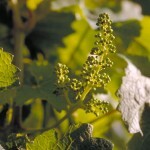 From the fertilization of the flowers one finds the number of berries per bunch. 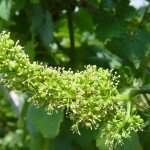 “Fertilization” accidents are shatter (flower abortion) and “millerandage” (non-development of the berries), they may considerably diminish the production of the fruit not only in quantity but also in quality. 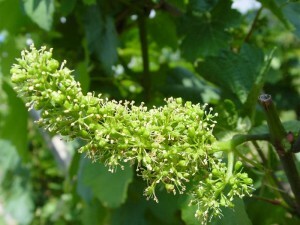 The flowers are then replaced by the berries (this is the berry setting) the young grape berry grows and forms a “node”. 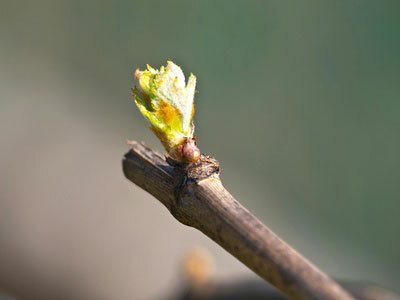 It is at this moment that we become aware of the quality of the fertilization. 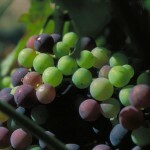 At the beginning of summer, the berries develop and grow whilst remaining green. 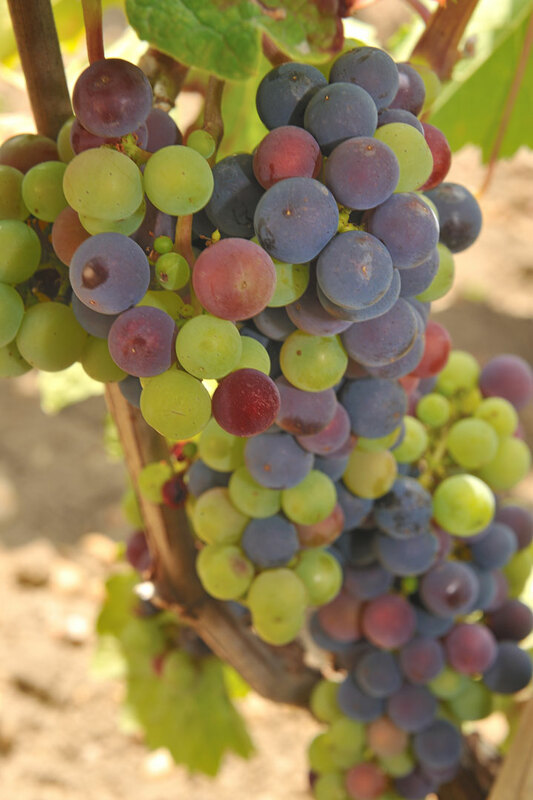 The berries then begin to take on colour and swell (this is the veraison) 6 to 8 weeks after the flowering and fourty-odd days before the harvest. 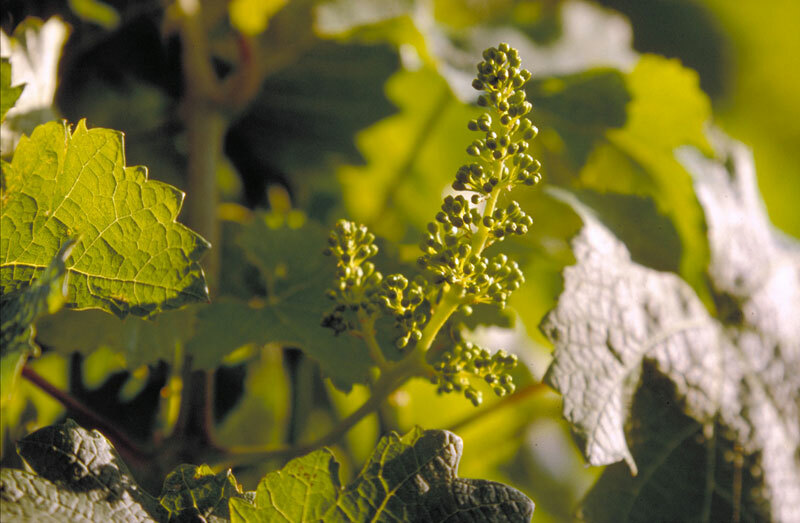 In the month of August, the vine, a biennial plant, nourishes the grapes of that year and furthermore prepares the next year’s harvest. 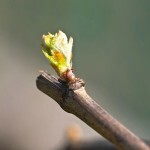 Starting from the leaf or the bunch, a young branch (lateral) starts to grow. 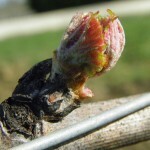 The lateral grows and another new bud then forms. 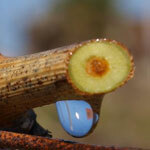 Then the branch ripens, the cellulose (green) transforms into wood (brown). 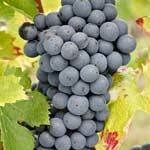 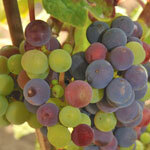 During summer the grape berries continue to grow as they ripen (This is the maturity) until September. 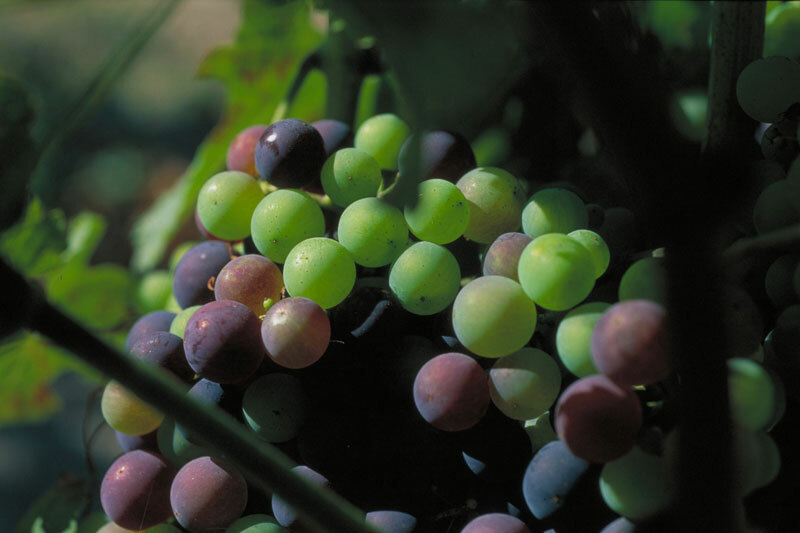 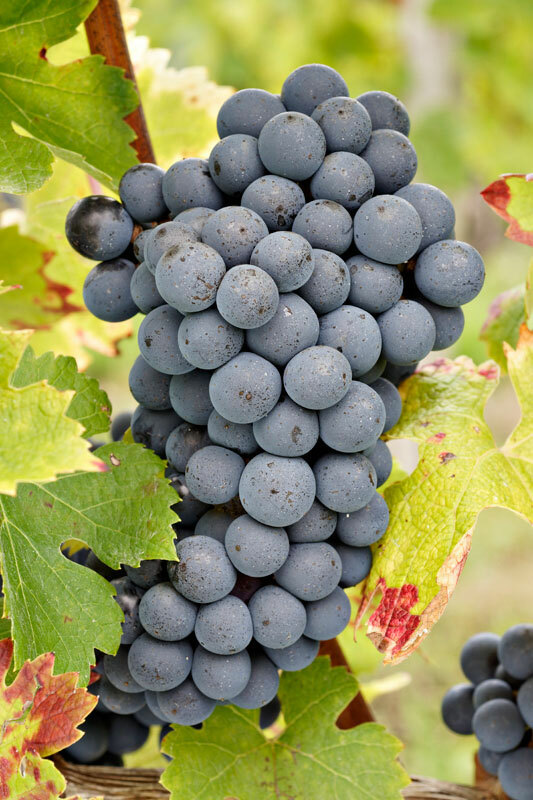 The anthocyans (that provide the red coulour) the tannins and all of the other necessary elements in producing a good wine, are synthesized. 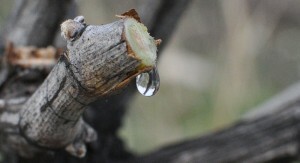 The acidity progressively decreases and the sugar appears: it transforms into alcohol during the alcoholic fermentation. 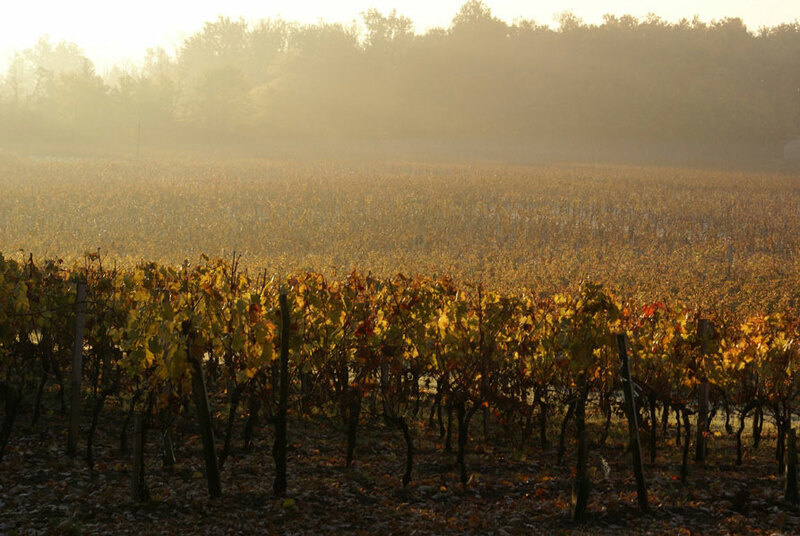 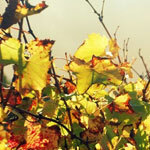 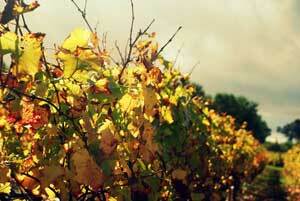 During the months of October and November, the vines start to lose their leaves (This is the leaf-fall) that end the active growing season of the vine.